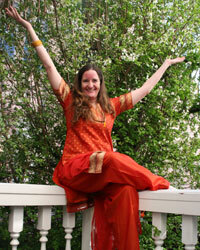 Weekly Satsangs and Kirtans take place Monday through Friday from 8 – 9 pm after the evening Agnihotra and meditation. The company of a guru. Assembly of persons who listen to, talk about, and assimilate the truth. Typically Satsang involves listening to or reading scriptures, reflecting, discussing and meditating on the source of those words. Why has the Gita been revered throughout the ages by people from many different cultures and eras? From the ancient Indian sage Sankara, to the modern Indian saint Mohandas Gandhi, from western philosophers such as Emerson, to scientists such as Einstein — all have found something to love in this great teaching. The story takes place on a battlefield where thousands of warriors are gathering. A battle between two related clans is about to begin. The mighty warrior Arjuna is despondent, and has decided he will not fight. 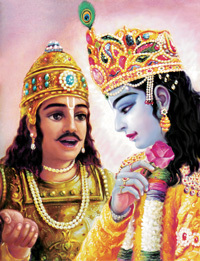 Krisna is his charioteer, a close friend and mentor. The main part of the text is a conversation between the two. In this setting, timeless questions are raised that are still relevant today. What does it means to live in this world? Who am I? How should I lead my life? How to live wisely? What is real, what is unreal? The scope of the Gita is vast. It defines many ways to come to fulfillment, to recognize the divine within us all. On one level it could be called a “how to” book. While telling a story, it presents an analysis of the roots of suffering, and how to cut those roots to achieve peace and harmony. And the verses contain pure poetry. Why do we call this an “Interactive Exploration”? We chant the verses together, discuss the meaning and implications, talk about our own viewpoints, and are encouraged to interpret for ourselves what it might mean for our own life. Please join us for the study of the Bhagavad Gita every Monday 8 – 9 p.m. in the Cosmic Temple. 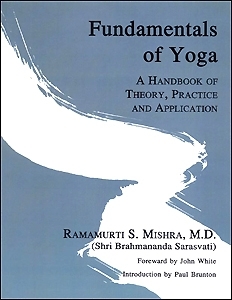 Fundamentals of Yoga is a comprehensive handbook of theory, practice and application of Yoga. A classic in its field, first published in 1959. Marcelo Carvalho began teaching yoga in 2001. His yoga classes include asana (poses,) pratyahara (internalizing the focus of the mind and the senses,) and pranayama (expansion of primordial energy – prana.) He emphasizes meditation, yoga psychology, and Self-knowledge as principle tools for personal transformation and healing. Marcelo studies Sanskrit with Dr. Ram Karan Sharma and the Yoga Society Sanskrit faculty. An active member of the Yoga Society of San Francisco, Marcelo has been on the board of directors since 2000, and is elected Board member for the term 2012-14. 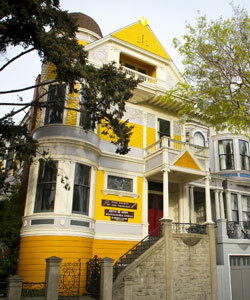 Although he did not meet Shri Brahmananda during his lifetime, he has embraced him as his Guru. 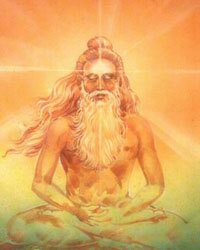 Please join us for discussions on Guruji’s Yoga texts every Tuesday 8 – 9 p.m. in the Cosmic Temple. 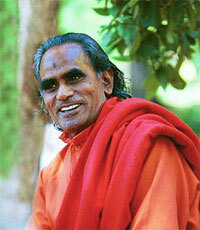 Please join us for the study of Guruji’s text and audio recordings every Wednesday 8 – 9 p.m. in the Cosmic Temple. 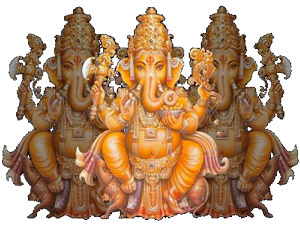 Kirtan is devotional chanting usually in Sanskrit which by participating in either actively or by listening brings joy, bliss and clears out the energy field. Mantras have powerful effects on the chanter and actively raises a person’s vibration. Singing these powerful words from the heart with others creates an expansive feeling of meditative love, community and lightness. Kirtan is like air and water to me. It feeds my soul. Chanting restores my spirit to it’s natural state of trueness and connects me in with the divine spirit and the ecstatic soulful cosmic energy. The purpose of the Yoga Sūtras is to eliminate human misery by means of knowledge of the self and the universe. This goal of eliminating misery is shared by each of the six Indian spiritual sciences, called darśanas. The Yoga Sūtras of Patañjali is one of them, and is also known as Yoga-darśana. In ancient India, darśana is synonymous with science. The word derives from the root dṛś, which means to see. A darśana helps one see that which is not previously seen or recognized, much as a periscope or telescope lets one see things that are obstructed or far away. Consciousness, along with nature, is a fundamental element of this cosmos. Life is an interaction between them. Knowledge of both is the path to all-round wellbeing. This is the essence of Patañjali’s Yoga Sūtras. Everything that we experience (nature) is for enjoyment and liberation. Enjoyment (bhoga) includes everything in this nature – objects, people, our body, and our mind. Yes, even our thoughts, emotions, and memories are all part of the nature. We tend think of them as an intimate part of ourselves. But, that is where the yogic wisdom comes to dispel our misconception. Considering our self as one and the same as our mind is the true source of all misery. Yoga says that you are free from the qualities of your mind, which is part of the nature. When you are able to abide in your core self, the modifications of nature (our thoughts, emotions, memories) cannot enslave us. You will be free from all misery. You are independently happy. That is the supreme self-reliance or independence (kaivalya) that yoga is trying to teach. Patañjali mentions that the purpose of our interaction with nature is for enjoying the nature as well as achieving liberation from it (apavarga). This is attained by knowing the true essence of your core self. Our life consists of taking both the outward path (experience of the nature) and the inward path (abiding in our core self). Lack of awareness and education of the latter is the reason why we constantly stay dissatisfied with life. The aphorisms of Patañjali shed light on the mechanisms of pleasure and misery and describe the path to liberation, which a higher state of consciousness that is free from the dualities of pleasure and pain. Upon achieving liberation, consciousness remains fully content in its own self. That is the all-round satisfaction that we all innately yearn for every moment of our life but cannot attain because we are constantly seeking it in the objects of nature. Consciousness realizes its own essence by differentiating itself from the nature. That is why the experience of the nature is essential to attain liberation. This is the purpose of consciousness coming into contact with nature and experiencing life. Yoga Sūtras of Patañjali describes various practices to attain true knowledge of one’s core self.